Harbeson Hickman Powell was born in Duluth on November 27, 1900. His parents were Roger Sherman Powell, an attorney born in Maryland in 1859; and Rina (Hickman) Powell, born in 1868 in Pennsylvania. Hickman, or “Hick,” as he was later known by friends, was named for his maternal grandfather, Harbeson Hickman, a successful Pennsylvania farmer, but Hickman didn’t like the name Harbeson and didn’t use it. Roger had come to Duluth about 1886 to practice law. He had an office in the newly built Exchange Building at Third Avenue West and Superior Street with his law partner, J. Fred Gordon. Roger and Rina were married in Delaware in 1891, and she returned with him to Duluth. In addition to Hickman, they had an older son, Roger Sherman Powell, Jr., born in Duluth on January 28, 1895. They lived in a home at 2014 East Superior Street. Roger had a successful career in Duluth and was highly respected in the community. He served a term as an Assistant St. Louis County Attorney and served for three years as a municipal judge. In August 1907, Roger was thrown from his friend’s car when it collided with a streetcar on Superior Street and Ninth Avenue East. The Duluth News Tribune article says Roger was “stunned” and brought to St. Luke’s Hospital but was soon released with only a sprained wrist. In early November of that year, Rina returned to Duluth from a visit with her parents in Pennsylvania. It was probably she who noticed that Roger was acting strangely. When after a few days of rest he had not improved, he was taken to the hospital where it was determined that his mind was affected. He was judged insane and moved to the Fergus Falls State Hospital about November 16. He died there on November 28, 1907, from what was termed “traumatic pneumonia.” He died the day after Hickman’s seventh birthday. Rina, Roger Jr., and Hickman stayed on in Duluth and in the house at 2014 East Superior Street, but they spent a couple of winters visiting family on the east coast. Hickman attended Duluth Central High School for his freshman and junior years, and he participated in oratory, Glee Club, and Mandolin Club, and made the honor roll. In his junior year, he attended Swarthmore Preparatory School in Swarthmore, Pennsylvania, and he graduated from that school in June 1919. He went on to the University of Wisconsin, Madison, and graduated from there in 1923. Hickman took a job in 1923 as a copy reader and soon as a reporter for the Duluth News Tribune. He stayed there for about a year before accepting a reporting job at the Minneapolis Tribune. About the same time, Rina left Duluth, having sold her house on East Superior Street. She eventually settled in New York City. 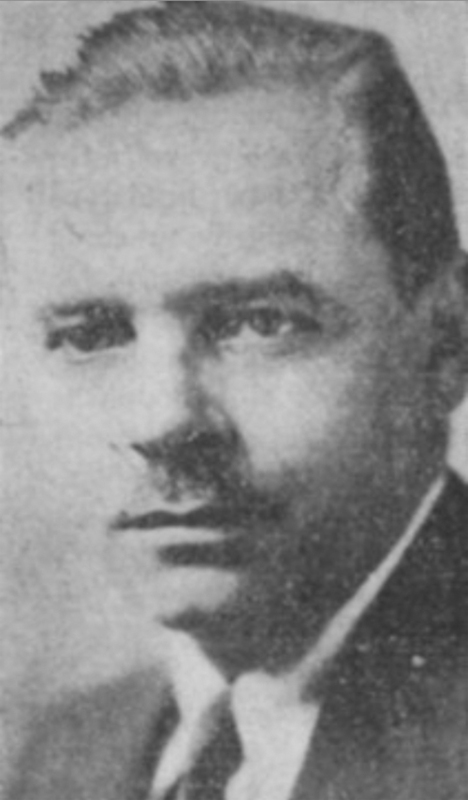 Later in the 1920s, Hickman left Minneapolis for a reporting job with the New York Morning World in New York City. He requested a leave of absence from that job in 1929 to take a trip around the world. His travels resulted in his first book, The Last Paradise (1930), an account of the history and customs of the island of Bali, which received very positive reviews. In 1931, Hickman took a job as political and legislative reporter for the New York Herald Tribune. In that job he covered the Seabury Commission investigations into corruption in the New York City police department and courts. He also covered the racketeering trials of the 1930s, including that of Charles “Lucky” Luciano, which was prosecuted successfully by Thomas E. Dewey. Hickman’s coverage of the Luciano trial resulted in his second book, Ninety Times Guilty (1939), which got good reviews and remained in print for many years. Hickman also got to know Thomas E. Dewey and later worked for Dewey as a researcher and speechwriter; he also was a trusted advisor during Dewey’s two presidential campaigns. In 1941, Hickman published his third book, What the Citizen Should Know About the Coast Guard. He was also the author of many magazine articles, most regularly appearing in Popular Science, for which he served as the London representative in the early 1940s. Hickman had worked for Gov. Thomas E. Dewey for years as a volunteer speechwriter and researcher, and in 1943 he returned from London to be rewarded with a paid position on Dewey’s staff, probably in preparation for Dewey’s 1944 presidential run. In 1950, Dewey appointed him to the New York State Power Authority, which was compensated on a per-diem basis. In 1951, Dewey created a six-member committee on water and land resources and named Hickman to that committee. In 1954, Hickman resigned from the New York State Power Authority over a disagreement with Chairman Robert Moses. Gov. Dewey sided with Moses in the argument. Following the resignation, Hickman continued to work in politics, although he spent more time at his country home in Bucks County, Pennsylvania. He was active in both of the Eisenhower presidential campaigns and served as an aide to several New York State legislative committees. He retired to his Pennsylvania farm in 1964, and died on December 22, 1966, in the Hunterdon Medical Center in Flemington, New Jersey. He had been married to Gladys Nellie (Williams) Powell, and they had two children, Margaret Hickman Powell and Benjamin Powell. His mother, Rina, had died in New York City on January 20, 1944.